Herbie Kane scored a brace while Danny Ings and Ovie Ejaria provided assists on a weekend which saw Liverpool’s loanees produce some top form. Game time has been in short supply in recent weeks but this weekend was unfortunately the worst of the lot as only six borrowed Reds played. Loris Karius (wrist) and Ryan Kent (hamstring) became the latest injury absentees, joining Connor Randall on the sidelines, while the weekend came too soon for Marko Grujic‘s return. 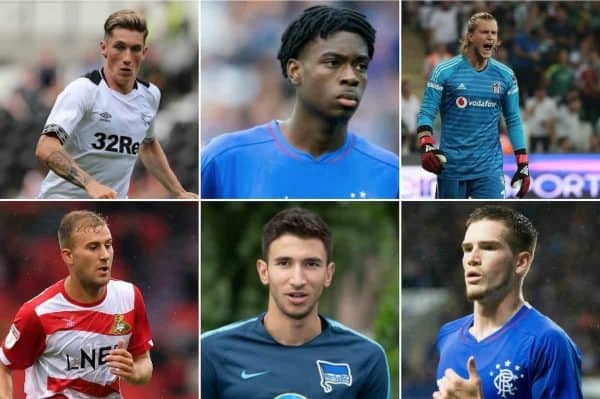 Frustratingly, Ben Woodburn, Allan Rodrigues, Taiwo Awoniyi, Anderson Arroyo, Corey Whelan and Shamal George were all unused at their respective clubs. The good news was that the lack of game time was well and truly made up for by the impressive form displayed by several of those who did play. Indeed, it was a week of firsts as one Red grabbed his first two goals as a senior professional, while two players posted their opening assists of the campaign. 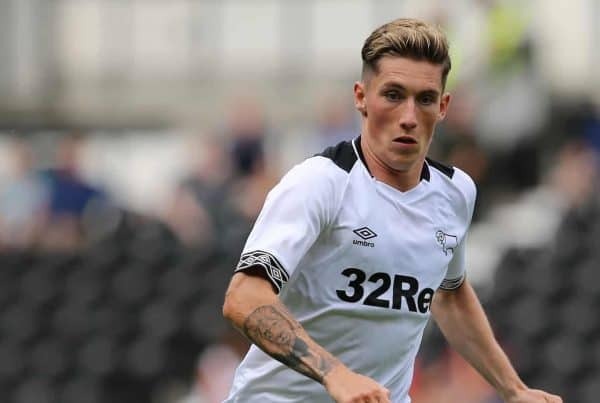 Kane has been the unsung star performer of the Reds’ loanees this season, but the academy midfielder well and truly grabbed the spotlight this weekend. After waiting 18 games for his first senior goal, two came along in one game as Kane netted a brace to save his Doncaster side from an embarrassing FA Cup exit at non-league Chorley. The memorable moment with the first came on 11 minutes, as Kane brought an end to a goalmouth scramble by prodding home inside the box. The second was far more spectacular—an unstoppable, long-range curler into the top corner which ensured his side were spared a giant-killing and escaped with a 2-2 draw. 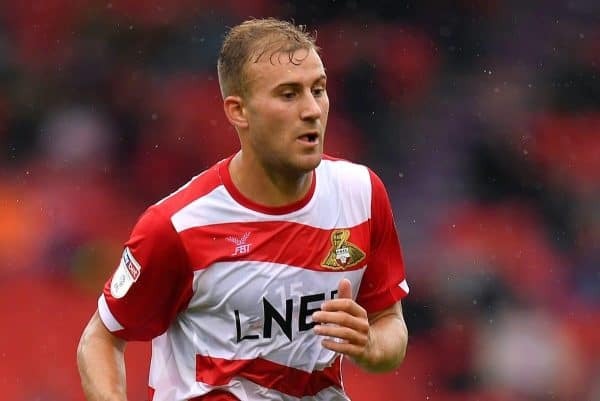 Kane was the goal hero but he also stood out as Doncaster’s best player which saw him subjected to some rough treatment from the National League North outfit. He was fortunate to escape unhurt from a horror tackle which saw Chorley’s Matt Challoner sent off, and even more impressive was that Kane scored his wonder goal after that incident. The brace is a deserved reward for Kane for producing consistently impressive form since joining the third-tier club and it’s a clear demonstration of his rapid development. With Kent missing both of Rangers’ games this week through injury, Ejaria was the only Red in action at Ibrox on Sunday afternoon. The midfielder showed no signs of missing his Anfield team-mate as he impressed as part of a stunning collective performance from Steven Gerrard’s side, who thrashed Motherwell 7-1. 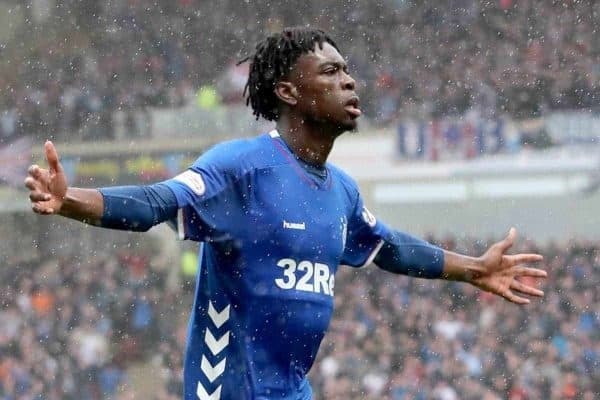 Ejaria has netted twice for the Gers this season, but he posted his first assist in the rout by laying on his side’s sixth goal of the afternoon. a simple pass to Eros Grezda who scored a tidy solo effort. Though a simple contribution it will still go down as Ejaria’s first assist this season. It means the youngster now has two goals and one assist from 24 appearances—numbers which he will want to improve on. Ings has been Southampton’s only reliable source of goals so far this campaign, netting five times to stand out as the Saints’ top scorer. But he turned provider in his side’s 1-1 draw with Watford on Saturday, doing the groundwork for Manolo Gabbiadini’s opener at St Mary’s. As with Ejaria it wasn’t eye-catching, but Southampton took the lead when Ings stole possession inside the box and prodded into the path of his Italian strike partner who finished. Ings was denied the chance to get on the scoresheet himself as his afternoon ended after only 40 minutes due to a hamstring injury. 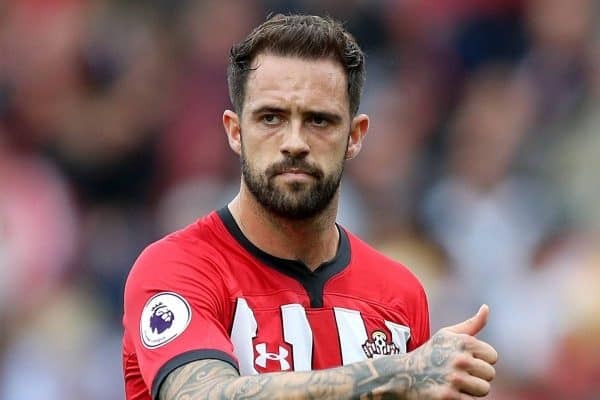 It was a frustrating blow for Ings, who continues to shine as Southampton’s main man, and all at St Mary’s will have everything crossed that it’s nothing too serious. 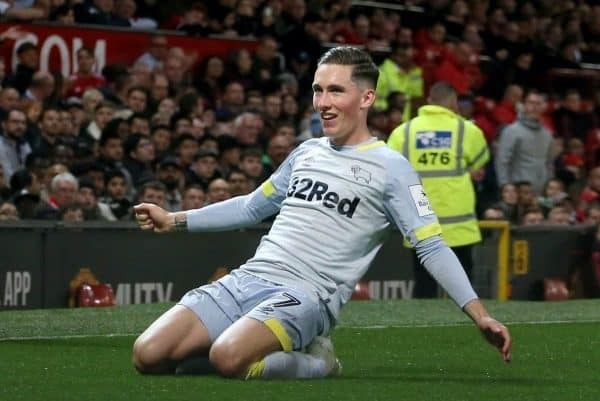 Starting in the Championship, Harry Wilson and Derby’s strong run of form came to an abrupt end as the Rams were soundly beaten 3-0 by Aston Villa on Saturday. The Welshman was one of the brighter performers for Frank Lampard’s side, but precious little came off—for once—for Wilson as his side’s six-game unbeaten run in the league ended. In the Scottish Premiership, Adam Bogdan continues as Hibernian’s No. 1 but couldn’t prevent his side going four games without a win after a 1-0 loss at Aberdeen—a result which left Hibs eighth in the table. Sheyi Ojo was the only European-based Red to play and he had to settle for yet another cameo role for Reims, who went down 2-0 at St-Etienne on Saturday. Ojo came on with half an hour to play—at which time his side already trailed 2-0—and he was lively after entering, firing two shots on goal and completing 100 percent of his passes even though his efforts were in vain.